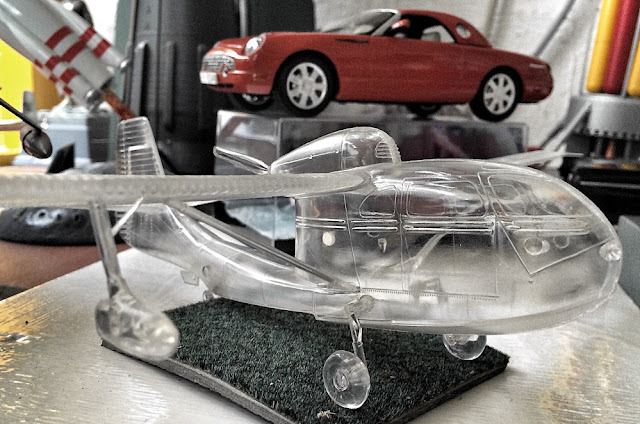 Scale Model News: HAPPY NEW YEAR 2017: KEEP ON MODELLING! HAPPY NEW YEAR! HERE'S A ROUNDUP of scale goodness to enjoy before 2017 really gets rolling. 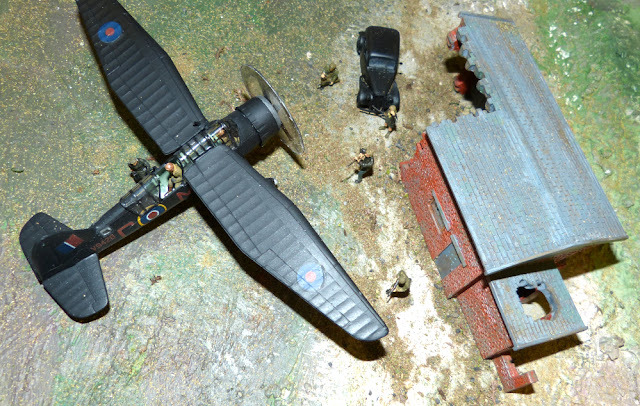 SMN report: Scale modellers can perhaps look to their bank accounts in the New Year. Maybe its time to invest in some collectible kits to lay down for that retirement package. The 5 Space Ships of the Future (header pic) is certainly a rarity. Whatever you pay for this Lindberg Line multi-kit is likely to be a decent investment, as they are not making them any more. 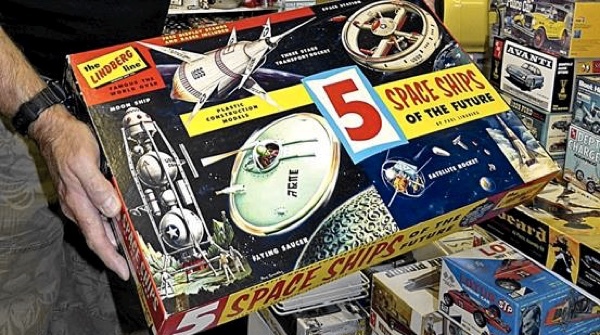 The content is an interesting mixture, as the box contains three future-factual designs, a satellite rocket, and an entirely fictional flying saucer, complete with alien pilot. Love that wheel-type space station, at the time thought to be the look of the near future. Meantime, Russian designers have come up with all sorts of Ekranoplan ground effect (GEV) designs (below right) which allow high speed cruising over flat land or open water, such as the Caspian Sea. Crazy enough to look more like science fiction than reality, and well worth building, the Revell kit shown here is well worth making. 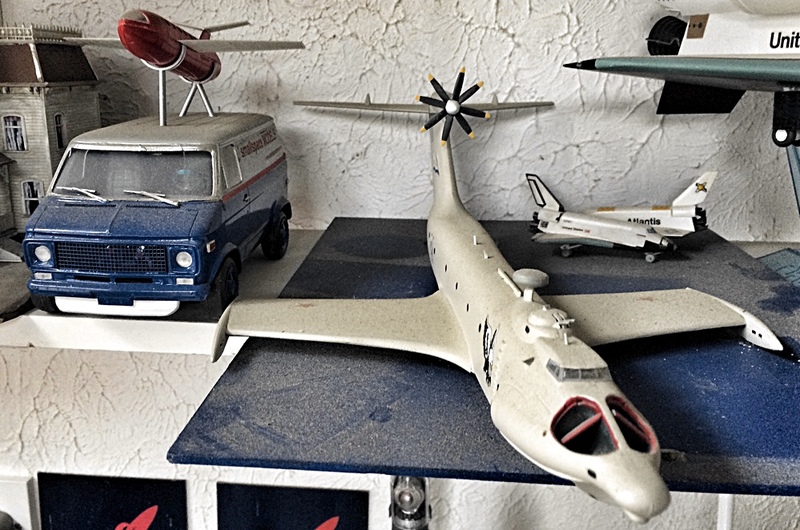 The monster machine is also available as the Zvezda 1:144 scale Ekranoplan A-90 and would make an unusual addition to any collection. Doctor Who (below) of BBC TV fame still packs in the fans, with the latest TV production still online with BBC iPlayer. 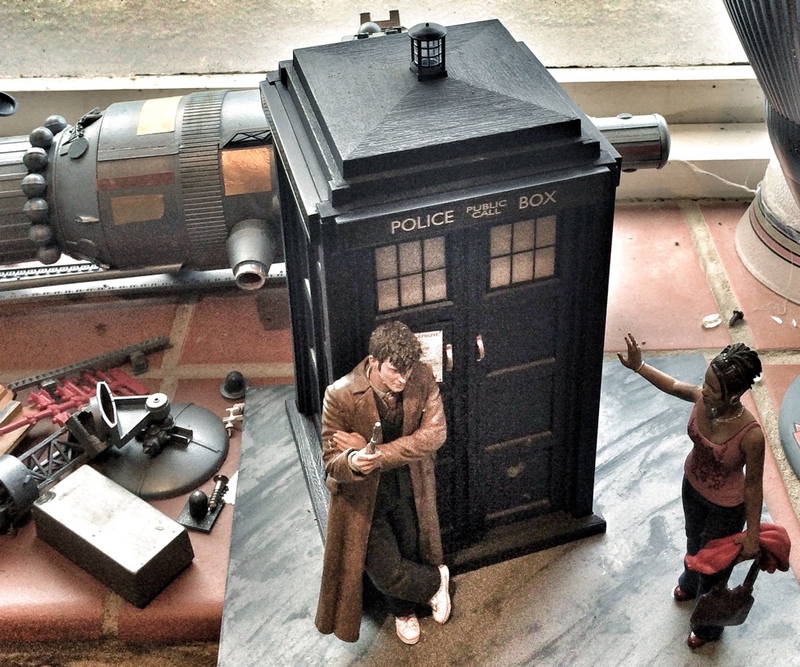 The 1:8 scale model features the good Doctor and female assistant, with the famed Time And Relative Dimension In Space (TARDIS) transportation device. The TARDIS design is still cunningly disguised as a British police box, even if the original is no longer in active service. Doctor Who gear doesn't stop with the TARDIS of course: there are plenty of scale figures available. 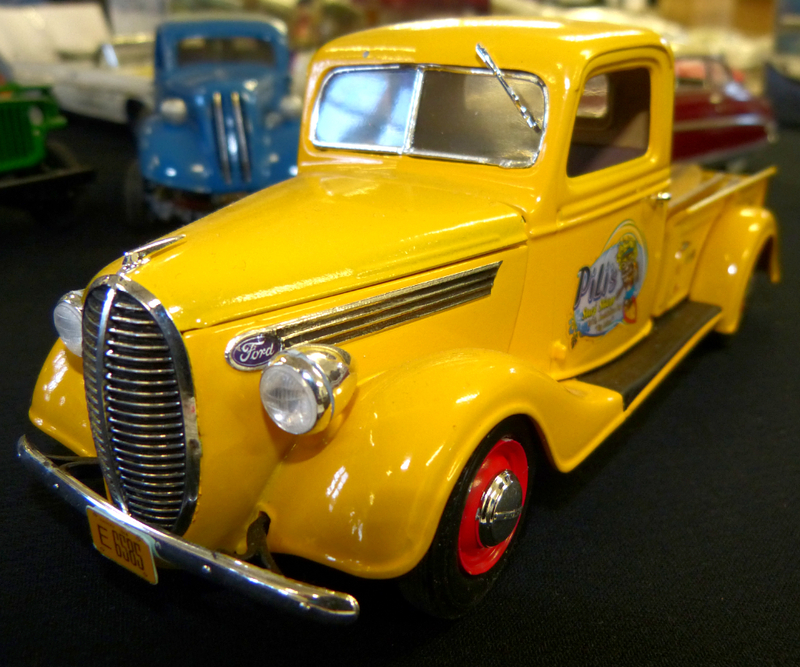 Retro automobiles - and trucks, such as the 1:25 scale Ford pickup (below) are as popular as ever. For anyone in the design industry, models of commercial vehicles hold an appeal for the graphic quality of the logos and signwriting. 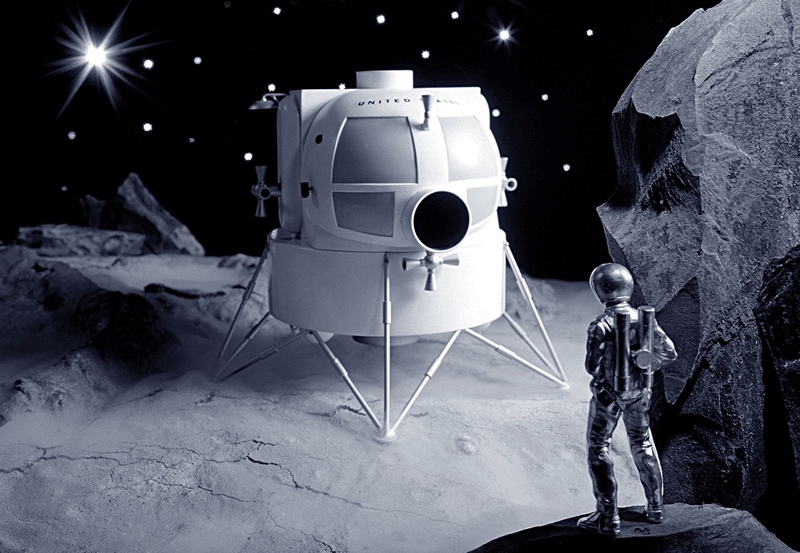 Two types of Moon lander are shown (below). The lander at top depicts the future-faction concept developed by the noted British Interplanetary Society (BIS) long before the US Apollo missions turned dreams to reality. 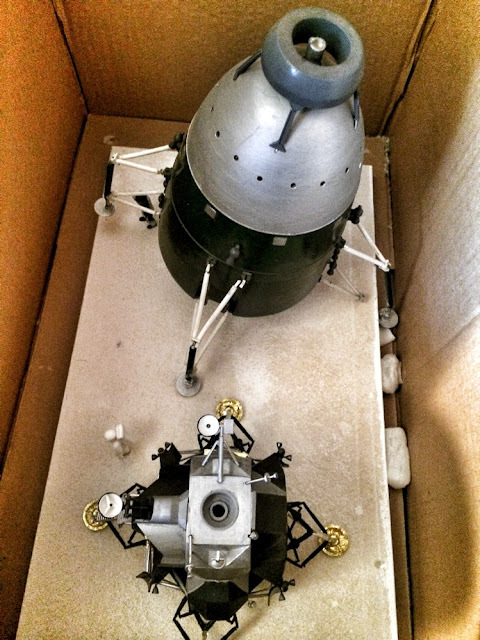 Below it is a model of the Lunar Module (LM) that took astronauts to the Moon's surface. In all, 15 LMs were built, of which six landed successfully on the lunar surface. 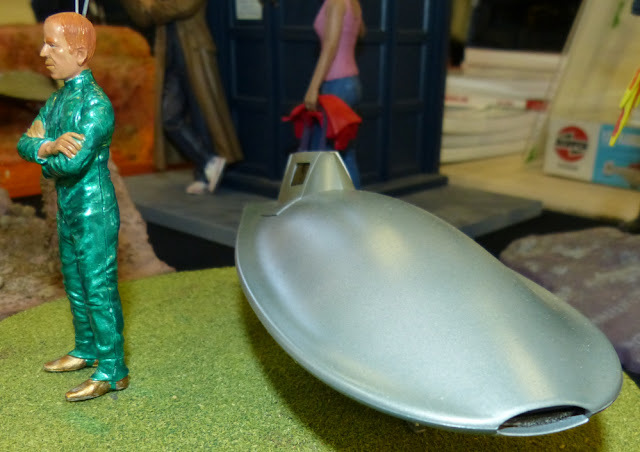 More science fiction (below) with this model from the US TV series 'My Favorite Martian' which aired from 1963-68. The elegant little spaceship has to be one of the smallest single-seat interplanetary craft ever conceived. The green-suited Martian was more alien than his humanoid appearance suggests. Among various unusual powers, he could extend antennas from his head, read people's minds, and levitate objects with just a finger motion. There was also a reasonable movie made, in 1999. A gorgeous transparent aircraft (below) with innards revealed for all to see. 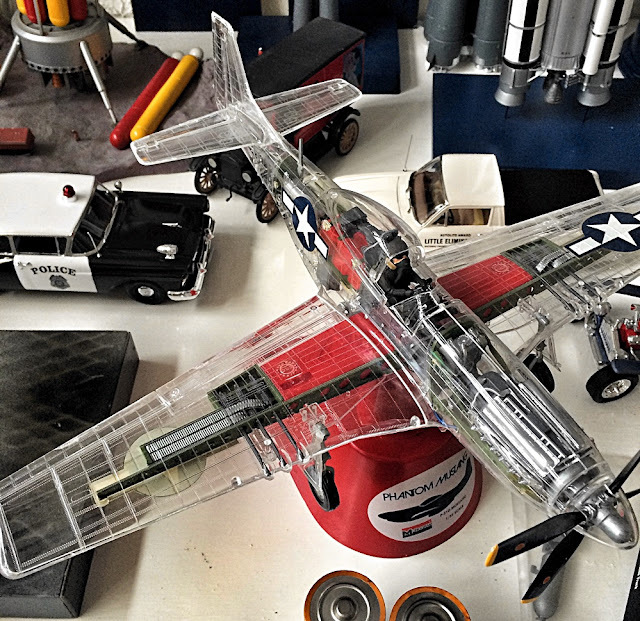 The 1:32 scale Revell Monogram Phantom Mustang is a classic kit, with working propeller, power coming from batteries contained in the chunky stand. The Republic Sea Bee amphibian was manufactured after World War II, and some examples survive today. As kits go, the transparent moulding (below) is quite useful, for, with careful masking, it enables you to finish the aircraft neatly without having to worry about cementing separate windows in place. Last but not least, everyone's favourite robot, Robby, here shown as a 1:12 scale kit from Polar Lights. He was the star of the classic 1956 movie from MGM, Forbidden Planet. Apart from plastic kits, the diecast and plastic variations of Robby probably number in the hundreds. For its time, the movie was pretty good, too.